Where else can you get 2300sqft under air, A 2 CAR GARAGE and a home packed with upgraded appointments-Under $300K? 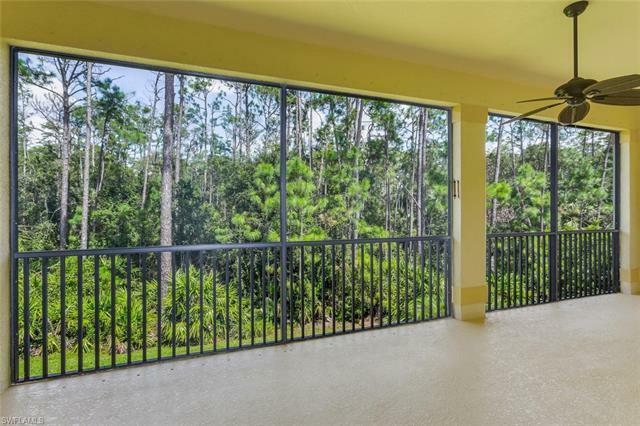 BEAUTIFUL WOOD CABINETRY, GRANITE COUNTER TOPS, STAINLESS APPLIANCES and IMPACT GLASS lanai doors. This home is Decorator ready with COASTAL COLORS, Wonderfully maintained, spotless tile and new carpet in bedrooms and stairs! The preserve is private and will never be built in. The associations are stable and fees have not changed in the condo's for over 4 years and the master was reduced this year and larger dogs are welcome. Hawthorne is a completely fenced little Jewel! The community is gated with 24 hour security and amenities which include two pools, two spas, two tennis courts, two fitness locations, a Clubhouse and additional community room. Enjoy walking, biking and running through the lake filled community. The community is social with monthly social events, card groups, men and women luncheons, community outings, book clubs, game nights and more. Hawthorne is conveniently located to fine grocery shopping, restaurants, Coconut Point Mall, Miromar Outlet Mall, RSW Airport, Naples, Fort Myers and our beautiful beaches. This community is a wonderful neighborhood! !